It’s true that making fitness goals is a great way to elevate your life. To reach those goals, routine exercise – whether it’s hitting the weights and treadmill in a gym, going ten rounds with a punching bag in a dojo, feeling the burn on a yoga mat, or digging deep on a sports field – will have to play a part. Last week we highlighted homes that make deciding where to work out a luxuriously easy decision – in the home. However, there is another part to reaching your fitness goals that we can’t overlook – the importance of sleep. Sleep keeps your heart healthy, reduces stress, improves memory, and helps the body repair itself. 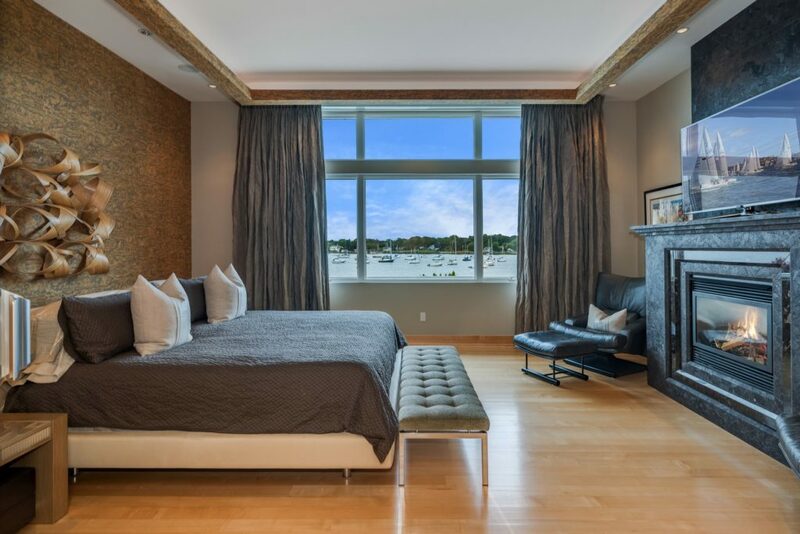 Today we’re highlighting a few luxurious homes with fireplaces in the bedroom to leave you dreaming of sleep, and hopefully soon, asleep and dreaming (and reducing your body’s stress hormones). 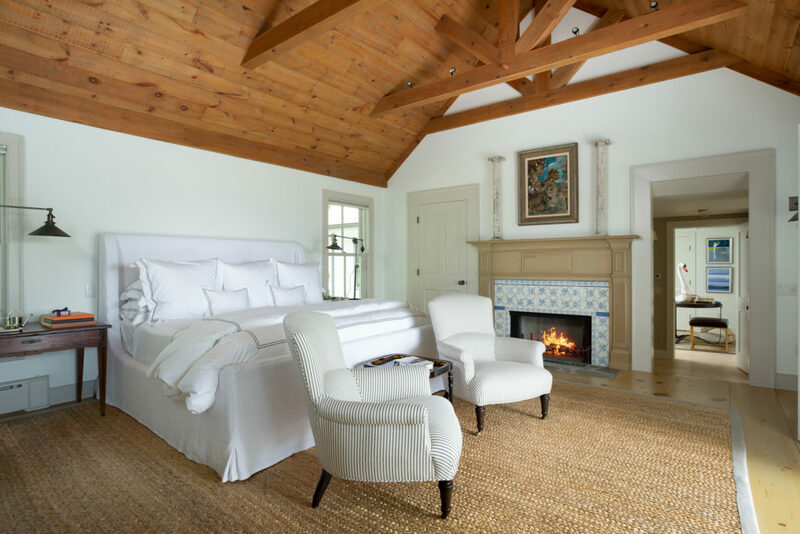 Up first is a beautiful home in Darien, CT that exudes warmth and country elegance. The bedroom pictured is one of five and is complete with vaulted ceilings, a 5’ gas fireplace, and a dressing and sitting room with private balcony. 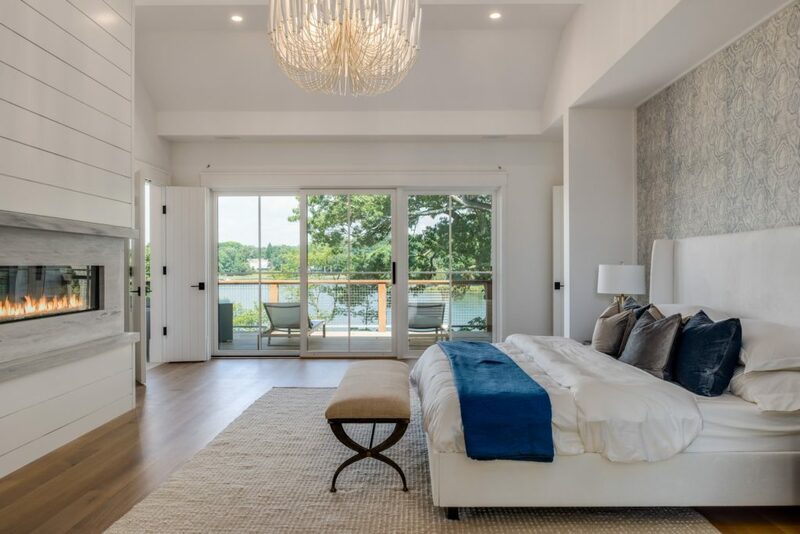 Next, we go to Old Saybrook to see a unique waterfront home that features a blend of classic and natural materials with tasteful contemporary design and custom finishes. The right wing of the upper floor leads us to this comforting bedroom complete with a fireplace, large master bath with jetted tub, and walk-in closets. In Harrison, NY we find a spectacular colonial residence in a quiet neighborhood. Serene throughout, the tranquil interior is matched by the sprawling backyard with raised patio, fenced-in pool, Jacuzzi, and a four-season pool house. This home provides for both lively entertainment and quiet comfort. This truly exceptional, quintessential Connecticut colonial features a wonderful flow. The country kitchen opens to a breakfast and family room with French doors leading to the stone terrace. A bright four-season sunroom with walls of windows and a fireplace further adds to the luxury and comfort offered by this home. 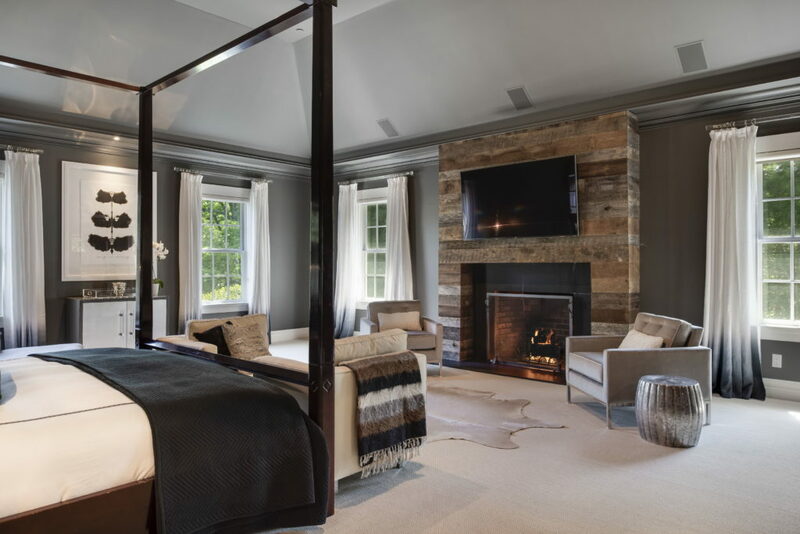 We end our tour of luxurious bedrooms with a New Marlborough, MA home built in 1860 and renovated in 2009, set on a stunning 85 acres overlooking the Whiting River. The master suite offers panoramic views and features a private porch.